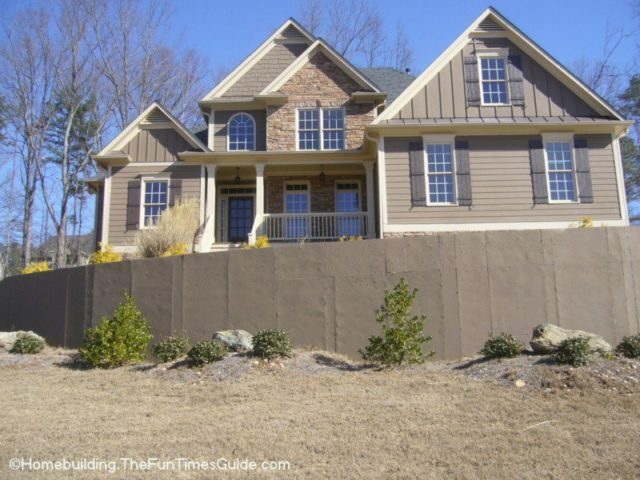 It’s time for another installment of ‘Dumb Homebuilding Ideas”. Are you ready? 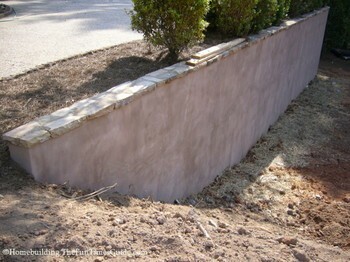 This time I’m featuring an eyesore…I meant to say…a bare concrete retaining wall. 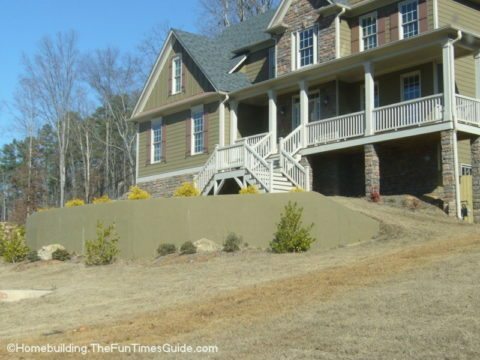 What is so especially dumb about concrete retaining walls? 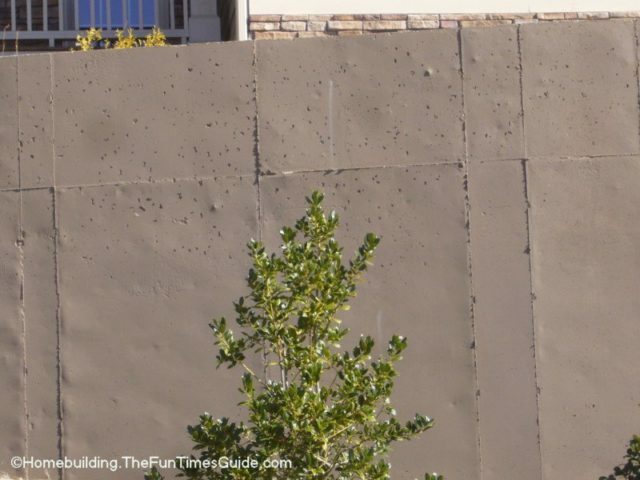 Nothing at all…unless the builder installs it squarely at the forefront of your property and doesn’t bother to apply a stacked stone facade or apply a nice, thick coat of stucco to snaz it up so it doesn’t have an institutional look to it. Now what makes this even worse is that there is another beautiful home next door with the same problem. At least they painted the darn thing. Hey…know what? This would be a great place to spray paint the house number in big, bold numbers. I’m kidding, but it couldn’t be much worse than what you’re looking at here. This just doesn’t make any sense… now does it? So… what would I do in this situation? If I really liked the home, the schools, the neighbors and the location location location, I would put a nice authentic stucco coat on the vertical and cap it with some really nice, natural stone that matches the facade of the home. Simple as that. This photo gives you an idea of what I’m talking about. Do you have a bare concrete retaining wall (or a neighbor that you’d like to drop hints to)? 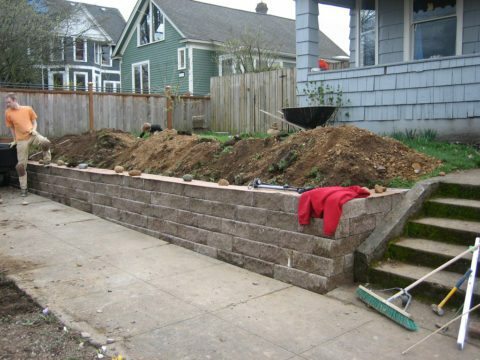 Here are a few links to get you (or them) started on beautifying the neighborhood. No excuses! Get out there!